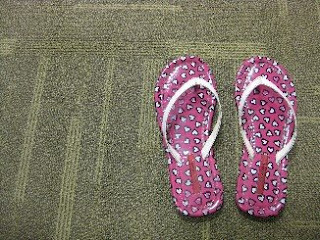 I need new slippers to flop around the office in. Bright pink with white hearts just don't cut it anymore. u mean u haven't changed them yet?!?!! CANNOT! must change already!! !